Yellow isn’t usually the color I’d reach out for but I couldn’t skip this one. 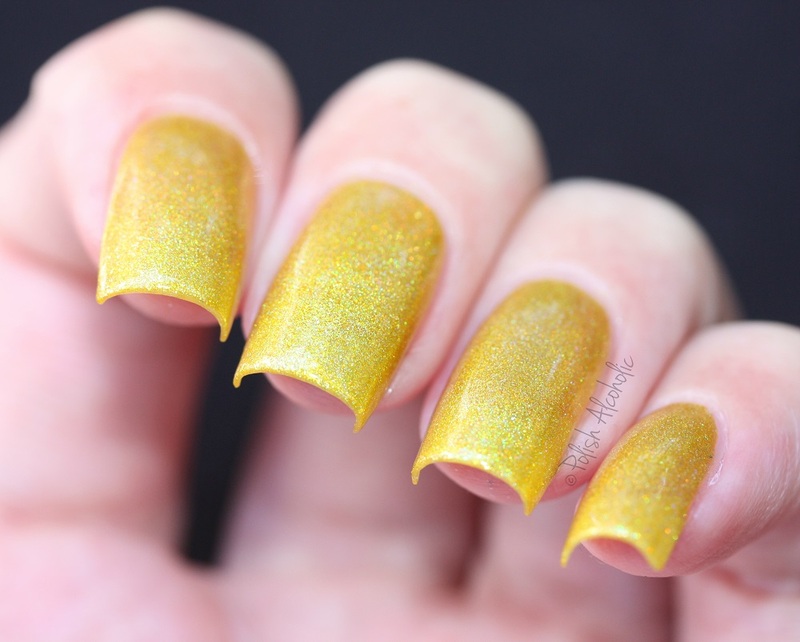 It’s like the sun on your nails. 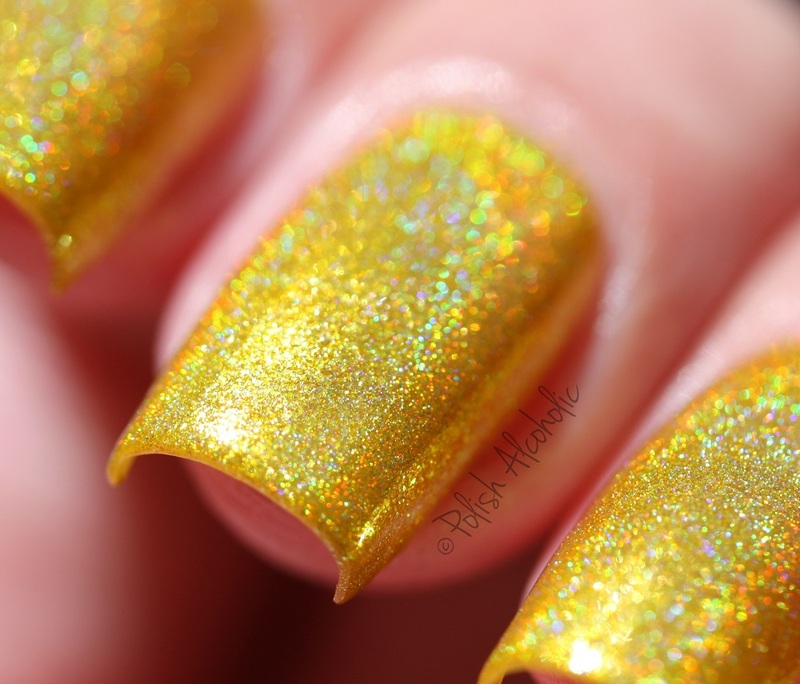 Let’s take a look at House of the Rising Sun by Enchanted Polish: Amazing, right?! The color is perfect. And that holo! This is three thin coats plus top coat. The photo’s below were taken in natural daylight: A little heads up for EP fans: Chelsea will soon release four new holo shades. For what I’ve seen a purple. pink, blue and a top coat. I couldn’t be more excited. Purple and pink? Yes please! If you’d like to know the exact details about the release I recommend to sign up for the newsletter. 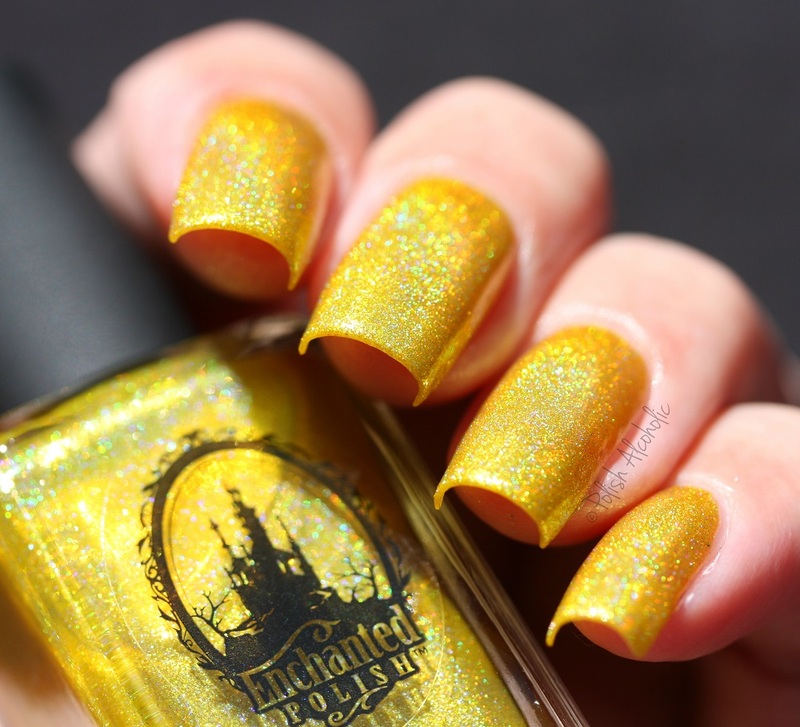 This entry was posted in Indie and tagged enchanted polish, enchanted polish house of the rising sun, ep, holographic, house of the rising sun, review, swatch, swatches, yellow nail polish by Polish Alcoholic. Bookmark the permalink.